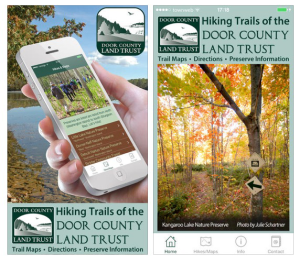 Download the Hiking Trails of the Door County Land Trust App! Shows trail maps, location and directions to 13 of the Door County Land Trust nature preserves. Includes info on ecological significance, plant types and wildlife observed while hiking. A paper map of these preserve locations was published, and this app is the electronic version of that map. In addition to the trail map images stored in the app, the app will locate the preserve on Google Maps in a browser window if desired. 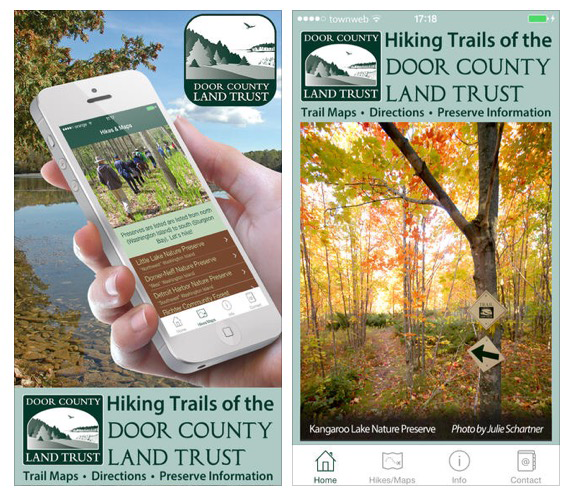 The app also provides information on wise use of the preserves, the “Explore the Door” guided hikes program, and the Door County Land Trust’s mission.